RON NURNBERGER & JIM MILLER. 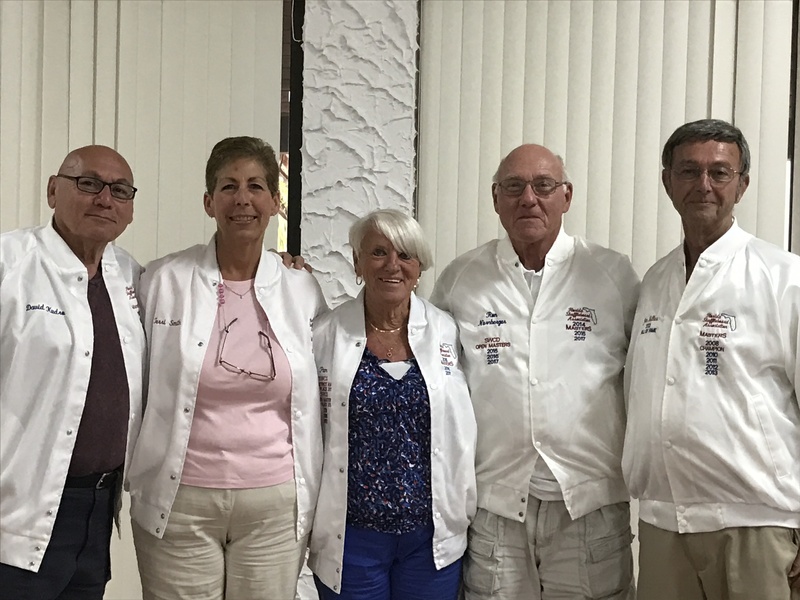 Ron Nurnberger Speaks: Five (5) of the top 16 Florida State Masters qualifiers are from the SWCD and all 5 are members of the Bradenton Shuffle Club. The MASTERS begins Monday, April 2nd in Hawthorne. Playing in the 2018 FSA Masters at The Hawthorne Shuffle Club (Leesburg) are: Pam Nurnberger. & Terri Smith (Ladies); Jim Miller, Ron Nurnberger & Dave Kudro (Men). GOOD LUCK TO OUR FELLOW MEMERS!